Our music director and conductor is Aimee Oliverio, who has been a great support to the choir as accompanist since 2009 and was acting director in 2017. Aimee succeeded our longtime director Andrew Wilhelm-Boyes, who passed away in 2017. The choir’s accompanist is Claire Oliverio. Aimee believes in music that advocates the culmination of the mind, body, spirit, and heart. 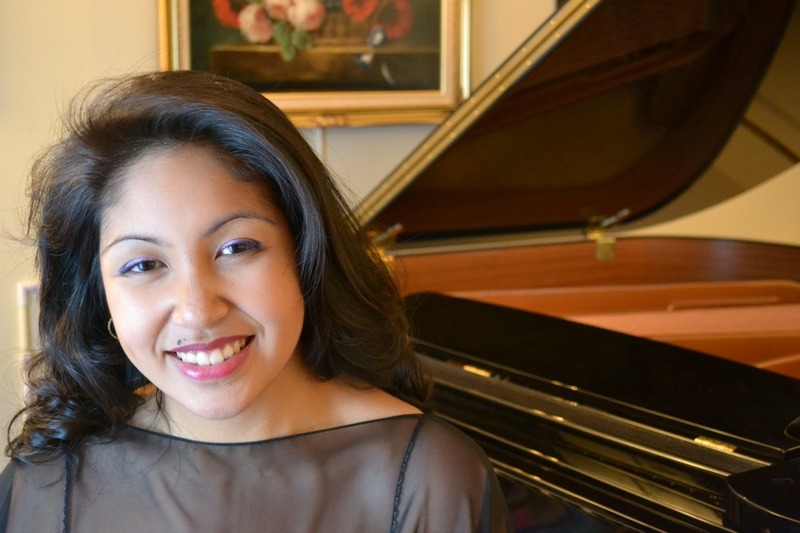 Aim ee has a Bachelor of Music in Musical Arts, majoring in piano, from Kwantlen Polytechnic University. From Simon Fraser University, she has a Bachelor of Education through the Professional Development Program, specializing in Secondary Music Education. 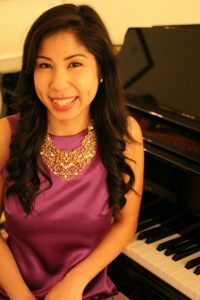 Aimee is currently pursuing higher education at SFU through their Elementary Music Education, Graduate Diploma program. A firm believer that music is a gift to be shared, Aimee devotes her work week to educating young minds as a music teacher in the Coquitlam school district, teaching piano privately at G&G Music Ltd., and leading the congregation of St. John the Divine Anglican Church, Maple Ridge, in musical worship as their musical and choral director, a position which she shares with her sister, Claire. Aimee aspires to carry on the beliefs and practices of her predecessor and mentor, Andrew Wilhelm-Boyles. Driven by his spirit, she hopes to honour his vision, as well as broaden the horizons of the ensemble with her own effervescent perspective. Claire Oliverio has supported the choir through 2016 and 2017 as acting accompanist. She holds an Associate of the Royal Conservatory of Music of Toronto (ARCT) Teachers Diploma and a Bachelor of Music in Musical Arts with Distinction from Kwantlen Polytechnic University. Claire has been active in music all her life. Her study at Kwantlen Polytechnic University has taken her to festivals in the South of France. She graduated as the valedictorian of her music class, delivering the Graduand Address at her Convocation Ceremony in 2016. She plans to apply to Simon Fraser University and to train to become a music teacher in the public school system. In addition to going to school, Claire teaches piano privately, works as an accompanist and performer, is a certified English As a Second Language instructor. She shares duties as Musical and Choral Director of St. John the Divine Anglican Church in Maple Ridge with her sister Aimee.